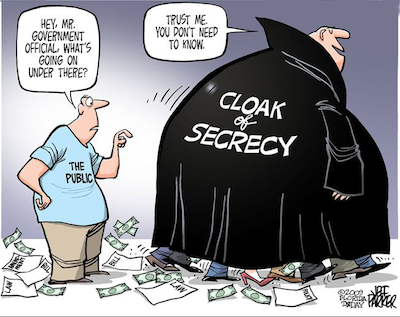 The brazen, vicious Pearl Harbor-like surprise attack on your right to know what the heck is happening in your state government, by legislative Republicans and Governor Scott Walker last Thursday night, has been repulsed. But it should not be forgotten or forgiven. These editorials from the Wisconsin State Journal and the Milwaukee Journal Sentinel have it exactly right. Numerous groups on the political right and left joined together on this one to help stem the tide. 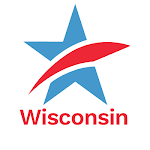 Late Thursday evening, CC/WI was active on social media telling citizens what was happening in the Joint Finance Committee and urging them to contact their legislators. There simply cannot be anyone stupid enough to believe that this open records-destroying provision did not have the prior approval of Governor Walker, Assembly Speaker Robin Vos and State Senate Majority Leader Scott Fitzgerald. Otherwise, it simply would not have been included in the 999 motion made and passed by all 12 Republican legislators in the Joint Finance Committee. Nothing like this happens by chance. The votes were all lined up and everyone was on the same page before this was poured on all of the citizens of Wisconsin like a vat of poisonous toxic waste late last Thursday. It was so outrageous and disgusting that no Republican would say who was the "brains" behind it. Particularly odious were the comments of North Dakota veterinarian Dean Knudson, who was elected to the Wisconsin Assembly as a Republican from Hudson in 2010. On Thursday evening he actually said: "I think that this serves to clarify and make it easier for us all to stay on the right side of the law and the rules." He also said the "hyperbole" regarding the changes was "overblown." Incredible. Knudson, who is also leading efforts to eviscerate the non-partisan Wisconsin Government Accountability Board (GAB), is obviously ignorant of, or is simply contemptible of the long history and tradition of open, accountable state government we have had in Wisconsin for more than a century. His comments may fly in North Dakota, but the veterinarian needs to know that dog won't hunt in Wisconsin. There is a "sucker punch" aspect of this entire episode, that has been used in the past, that makes it doubly despicable. The now dead open records issue was so completely outrageous and unexpected that it served its intended purpose – to draw attention away from the many other very contentious and controversial aspects of this budget. And that was exactly what Walker and the majority Republicans wanted to happen. But they expected that we should all be "grateful" that they have removed this provision and be thankful that they didn't do more damage. And that citizens would be less loud about expressing their opposition to the other parts of the budget. Wrong. We are not grateful. We are mad as hell. The arrogance of their power has never been more evident. They will continue down this road in the weeks ahead as they move to destroy the GAB, alter the Legislative Audit Bureau, rewrite the campaign finance laws to advantage only them, try to end election day voter registration, and God knows what else. We must fight back with all of the energy and determination that forced them to retreat on this wholesale assault on transparency and open government. It is absolutely imperative that you let both your State Senator and your State Representative, and Governor Walker know just how you feel about this issue. They need to hear from you and make protecting what remains of open, accountable and transparent state government in Wisconsin their priority. Without that, nothing else matters, really. Contact information for your state senators is here; and for your state representatives, here. Contact information for Governor Walker is here. Without your voice being heard, we lose. When we make our voices heard and act with conviction, we can win. Tell Your Legislators and the Governor What You Think of Their Attempt to Blind You Last WeekTweet this!